The New Board Mandate: What Does it Really Mean? Is the recent California law (SB-826) requiring women on boards good for corporate governance? Should it stay? Should it go? Does it matter? Does it help or hinder the broader question of board diversity? How can boards ensure they have the necessary perspectives at the table? Many believe that boards that are not representative of the people they serve, and the environments in which they operate, are not performing to their full potential. Women represent approximately half the global population, yet their presence in the boardroom remains small. Following the lead of some European countries, California is the first state to require women on boards. Though board diversity goes far beyond gender representation, institutional shareholders use the issue of gender equality as an important factor when deciding on whether to support a board’s chair or its various committees. Our panelists will offer their insights into this movement and share both the short and long-term implications of this new mandate. 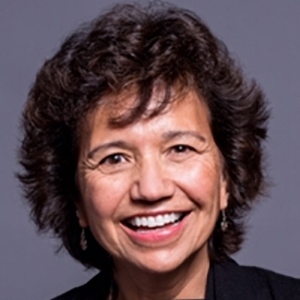 Annalisa Barrett is the founder and CEO of Board Governance Research LLC, which provides independent research on corporate governance practices, board composition and director demographics. 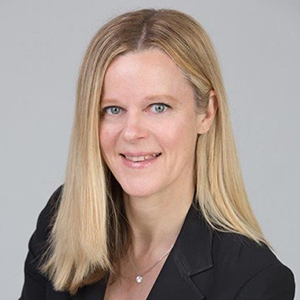 In addition, she is a Senior Advisor for ValueEdge Advisors, which was founded by corporate governance leaders Richard Bennett, Robert AG Monks and Nell Minow to advise institutional investors regarding effective corporate governance engagement to preserve portfolio value and diminish risk. Ms. Barrett was a full-time Clinical Professor of Finance at the University of San Diego School of Business where she taught graduate courses in Corporate Governance and undergraduate courses in Financial Statement Analysis and Personal Finance. Ms. Barrett has nearly 20 years of experience in the field of corporate governance. She is the author of numerous reports and articles on corporate governance topics and is invited to speak on governance matters at national conferences throughout the year. She has been quoted in numerous periodicals and her research has been featured on the front page of the Wall Street Journal. In 2008, Ms. Barrett was named a Millstein Rising Star in Corporate Governance. She holds an MBA, with distinction, from the Ross School of Business at the University of Michigan. She, her husband and their two children live in San Diego, California. Dr. Marquet is an experienced and highly-regarded leader in the life sciences industry with a very successful track record in entrepreneurship. She has a true passion for creating a winning corporate culture of innovation and expertise in strategic growth and corporate governance. She co-founded Althea Technologies in 1998, and led the company as co-CEO for ten years. Althea Technologies was successfully acquired by Ajinomoto in 2013. As of today, Dr. Marquet remains as Chairman of the Board of the new entity Aji Bio-Pharma, a leading global contract development and manufacturing organization. She is also the co-Founder of AltheaDx, a commercial stage precision medicine company with the world’s leading pharmacogenomics test for anxiety and depression. She is co-Founder and co-CEO of ALMA Life Sciences, an early stage investment firm focusing on the creation and growth of innovative healthcare companies with an overall focus on prevention. In addition, Dr. Marquet serves as a Board member of Senté, Matrisys Bioscience, Arcturus Therapeutics (ARCT) and Independa. She is an advisor to Mesa Verde Venture Partners and City National Bank. 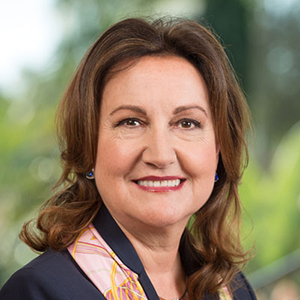 Dr. Marquet plays a pivotal role in developing San Diego’s entrepreneurial ecosystem where she serves on several non-profit boards, including BIOCOM, CONNECT, EDC and Moores Cancer Center at UC San Diego. Dr. Marquet has over three decades of experience in the biotechnology industry in the United States and Europe. Prior to starting Althea Technologies, Dr. Marquet held management positions at Vical, Amylin Pharmaceuticals, Protein Polymer Technologies, Syntro Corporation and Transgene. She holds a Ph.D in Biochemical Engineering from INSA/University of Toulouse, France. Dr. Marquet has received numerous awards throughout her career including the 2005 Regional Ernst&Young Entrepreneur of the Year award in the Life Sciences category, the Athena Pinnacle award, the Most Admired CEO award from the San Diego Business Journal, and the Director of the Year award (Corporate Governance) from the Corporate Directors Forum. Under her leadership, Althea Technologies received several Best Companies to Work For awards. Dr. Marquet is the first woman to be inducted into the CONNECT Entrepreneur Hall of Fame. Chris is a partner at the law firm Reed Smith LLP. She is an intellectual property litigator and has tried patent cases around the country for both plaintiffs and defendants. Her patent cases involve a wide range of technologies and products, such as semiconductors, semiconductor packaging, software, wireless technology, Power over Ethernet technology, LED technology, promotion programs, and printer cartridges. She is the firm’s expert in the so-called “Section 101” defense, which involves the eligibility of “abstract” inventions for patenting. Her trials have included the first U.S. jury verdict to set a reasonable and nondiscriminatory (“RAND”) royalty rate for declared standard essential patents. She also chairs Reed Smith’s Women’s Initiative in San Francisco. 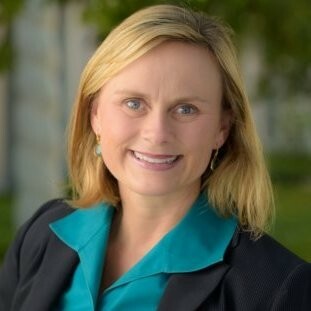 Mary Morris is an Investment Officer within Corporate Governance, Investments for the California State Teachers’ Retirement System (CalSTRS), the largest teacher’s public pension fund in the USA. Ms. Morris has over twenty six years of professional experience, 13 years of investment experience and 15 years of technical accounting knowledge as a Certified Public Accountant and Certified Internal Auditor. Prior to joining CalSTRS in January 2016, she was an Investment Officer at CalPERS, and previous work experience as an auditor and internal auditor.